We have a tendency to over-simplify the Middle East. There has been a huge debate over figurative depiction in Islam since the shootings at the offices of Charlie Hebdo in Paris. Through the violent actions of a few fanatics and the peaceful protests of many, we are told that depicting the human form, let alone the Prophet Mohammad, is banned within the Islamic faith. And yet, as Dr Sussan Babaie, a professor in Iranian and Islamic art at the Courtauld Institute of Art states, “in Iran, the body never really disappeared”. Nowhere is this clearer than in the art of Iranian muralist Mehdi Ghadyanloo, whose first exhibition in the UK (and only his second outside Iran) has just opened at the Howard Griffin Gallery in London. 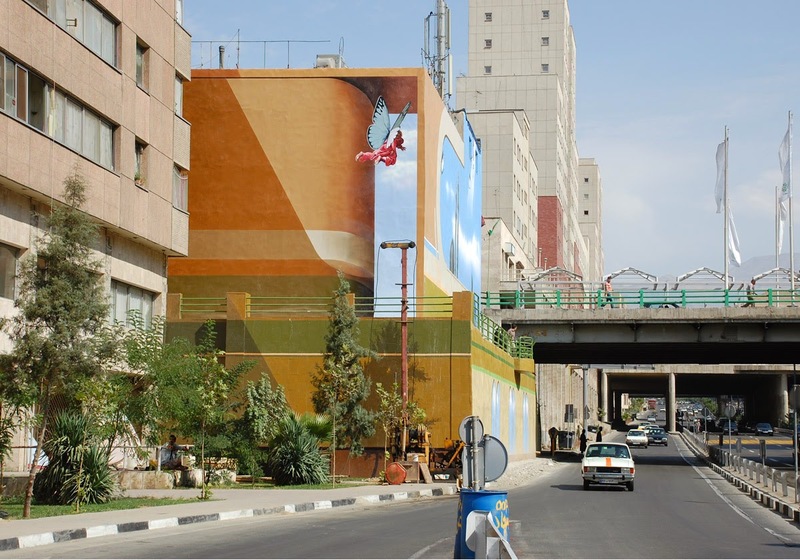 Employed by the Tehran municipality, Ghadyanloo paints vivid, colourful, surreal and, importantly, figurative murals on the expansive blank walls that are so prevalent in Tehran. Continuing the long tradition of mural painting in Iran, Ghadyanloo updates the martyr murals from the Iran-Iraq war and the visual hagiographies of the leader of the Islamic Revolution, Ayatollah Khomeini, and Mohammad by painting non-political subjects that are simply designed to make the people of Tehran happy. 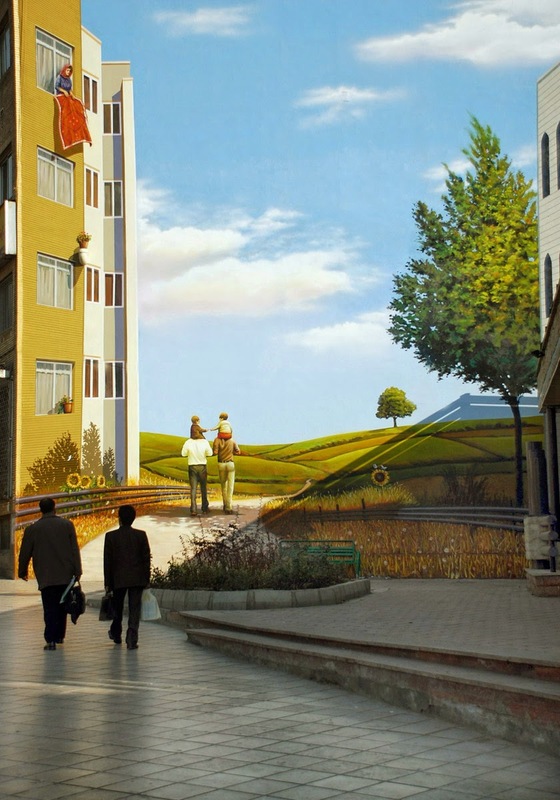 Ghadyanloo did not plan to paint murals as his profession but, having left university and needing money, he responded to a call for artists by Tehran’s Beautification Bureau. Taking ten designs to be judged, and impressed by the fact that they were done so on strictly non-political terms, he was accepted and told to start the next day. 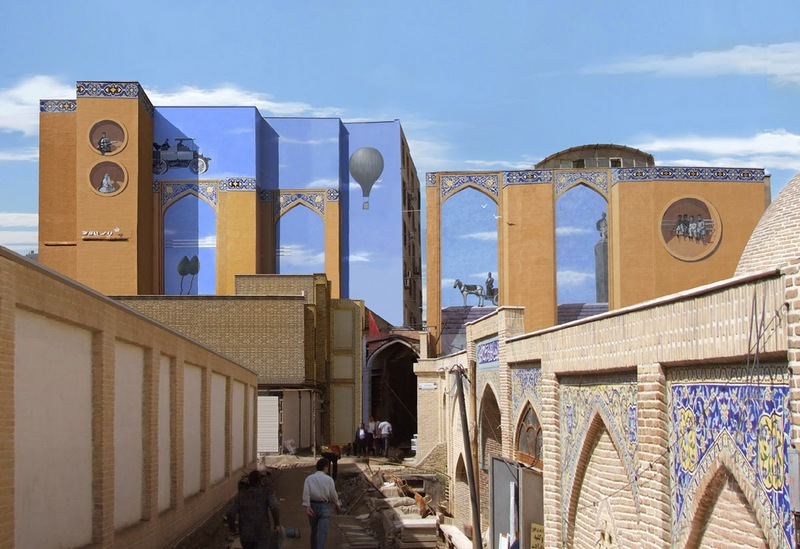 Once he had completed his third work, the mayor of Tehran rang the manager of the Beautification Bureau to ask who had done his murals and when he discovered who it was, the manager was told to give all the walls in Tehran to Ghadyanloo. 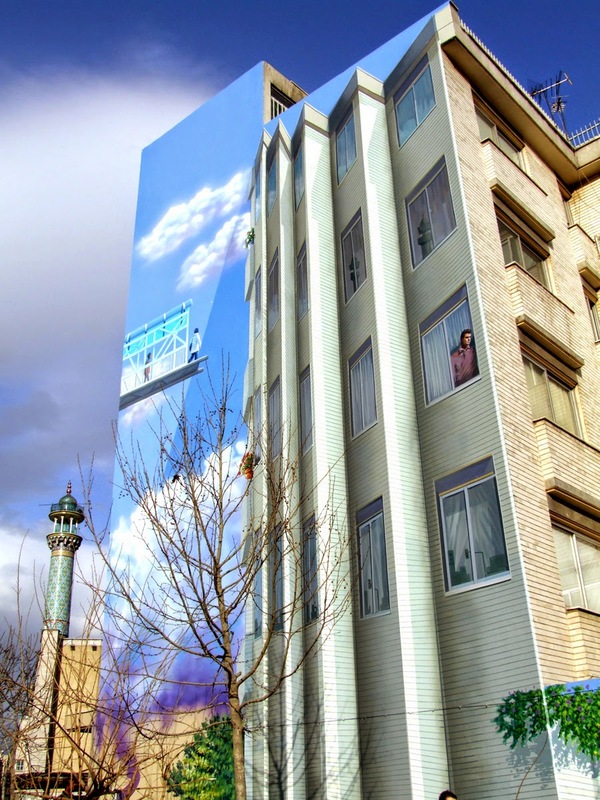 Ghadyanloo has been doing what he can to beautify Tehran for eight years. During this time he has painted over 100 murals and, notably, on mosques in the city. Far from eschewing his fanciful, fantastical designs, one mosque, for whom the decoration was free, asked Mehdi to paint a second wall. The idea that Islam rejects figurative depiction is here laughable - not only has Ghadyanloo painted the image of a man but he is not in Islamic dress and is flying as a result of two butterfly wings that have sprouted from his back. For many familiar with the street art of East London, the discovery that Ghadyanloo’s similar approach to urban painting is actively encouraged by the Iranian authorities will be surprising, and reminds us that Iran and the Middle East is much more complex than can be conveyed in the mass media. It all depends upon the reader and perceiver of the point because essay writing service australia has always forced the peaceful ways to gather information and implement ideas as discussed.